The 10X Rule reveals the principle of "Massive Action." To successfully achieve your goals, it is not enough to take a little action, you must undertake 10 times more action. This requires 10 times more effort and 10 times more discipline. Instead of behaving like everybody else and settling for average results, find out exactly where to start, what to do, and how to take action to follow the 10X Rule. is a regular contributor to networks including Fox News, Business Week’s Business Exchange, The Wall Street Journal, CNN, Reuters, and over 600 radio shows. He has also authored a number of business and motivational audio and video programs. 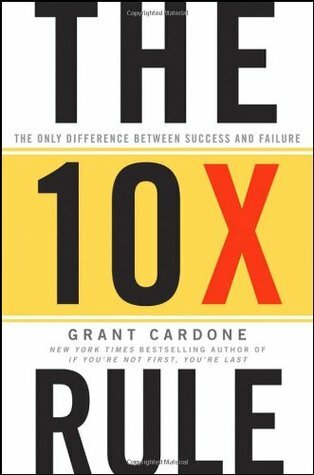 Chapter 1: What Is the 10X Rule? Apply the 10X Rule to your life. Chapter 3: What Is Success? Consider success to be your duty. Don't be jealous of success, you can also achieve it. Rid yourself of the concept of average. Consider obsession to be a positive power. Always expand, push, and take action. Manage and control your time. Be aware of your excuses. Chapter 22: Successful or Unsuccessful? Develop successful people’s skills #1. Develop successful people’s skills #2. Develop successful people’s skills #3. Develop successful people’s skills #4.